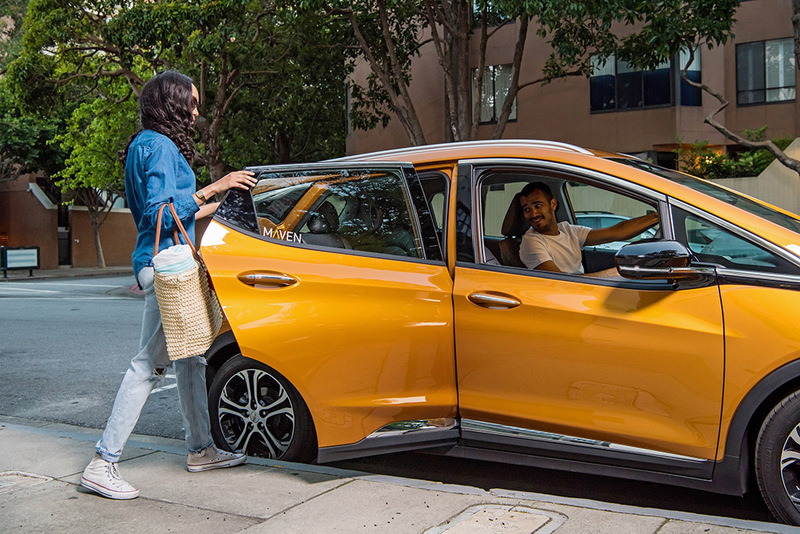 GM's Maven car sharing operation is expanding its Gig service into several more cities. 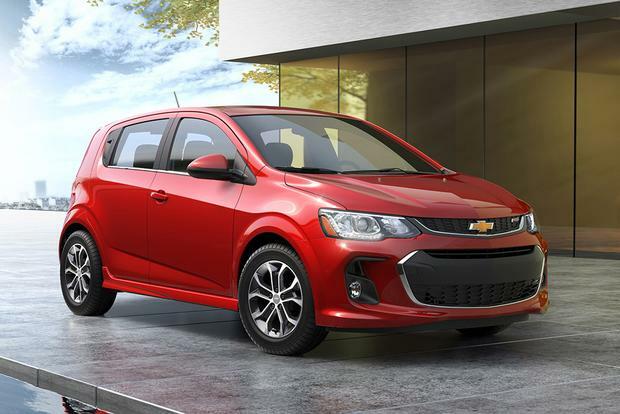 The 2017 Chevrolet Sonic is a subcompact that competes well with the likes of the Ford Fiesta, the Kia Rio and the Honda Fit. The Sonic may be small, but its interior is really quite roomy and filled with handsome, high-quality materials. There are lots of little goodies one wouldn't expect from this type of vehicle, such as an available power driver's seat and a heated steering wheel. Although the Chevrolet isn't as roomy as the Honda Fit nor as fun to drive as the Ford Fiesta, the Sonic offers buyers a nice go-between, teaming good value with great fuel economy at a reasonable price. Standard on LS and LT models is a 138-horsepower 1.8-liter engine with a 5-speed manual transmission. It returns a decent Environmental Protection Agency rating of 25 miles per gallon city and 33 mpg on the highway. Adding the optional 6-speed automatic transmission makes for more convenient in-traffic driving and reduces estimated city mileage by an almost imperceptible 1 mpg while raising the highway figure by the same amount. Although the 1.8-liter standard engine is a solid performer in this size category, the Sonic's dark horse is the optional 138-hp 1.4-liter turbocharged engine. Available with manual or automatic transmissions, the 1.4-liter Ecotec engine -- standard on the Sonic LT sedan and both Premier models -- makes for some seriously fun driving. It returns 26 mpg city/36 mpg hwy with the automatic transmission or 28 mpg city/38 mpg hwy with the manual. 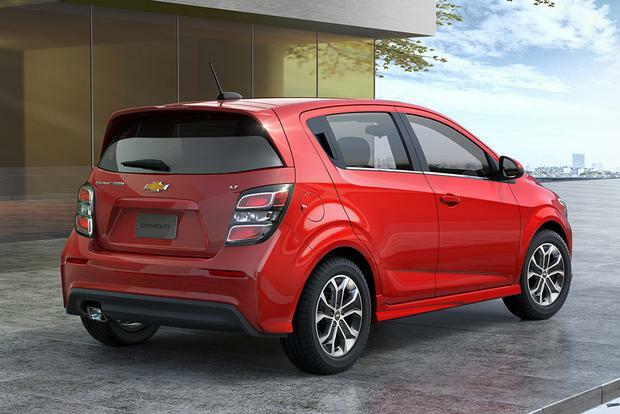 The Chevrolet Sonic comes in three trim levels: base-level LS, midlevel LT and upscale Premier. The base LS model ($16,200) comes with 15-in steel wheels as standard equipment, along with air conditioning, remote keyless entry, a rearview camera, MyLink with a 7-in touchscreen display, Apple CarPlay and Android Auto compatibility, Bluetooth, manual windows and a tilt-telescopic steering wheel. Next up is the midgrade LT ($18,405 sedan, $18,455 hatchback). It adds a 6-speaker sound system with Sirius XM radio, 15-in painted aluminum wheels, cruise control, power windows with 1-touch up and down and power adjustable heated exterior mirrors. The LT sedan features the 1.4-liter turbocharged engine, while the LT hatchback comes with the 1.8-liter engine. 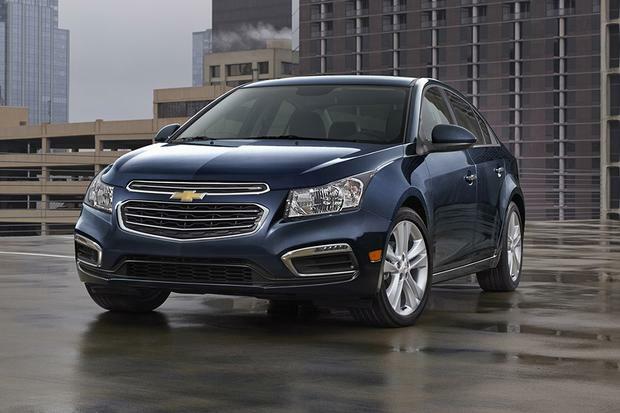 The Premier ($20,595 sedan, $20,595 hatchback) adds the turbocharged 1.4-liter 4-cylinder engine. It also boasts a higher list of creature comforts including heated front seats, a 6-way power driver's seat, keyless entry and ignition and leatherette seating surfaces. 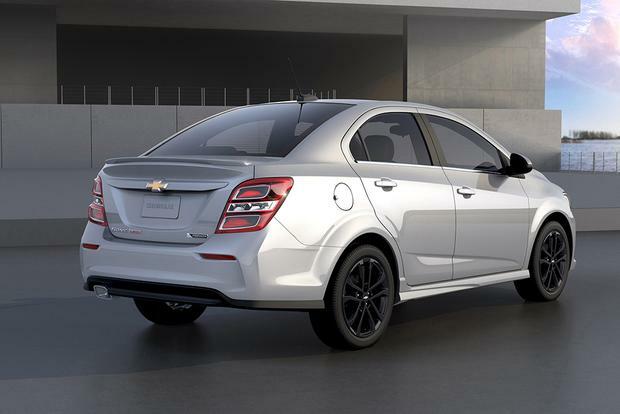 Outside, 17-in aluminum wheels and a rear deck spoiler add a sporty look. 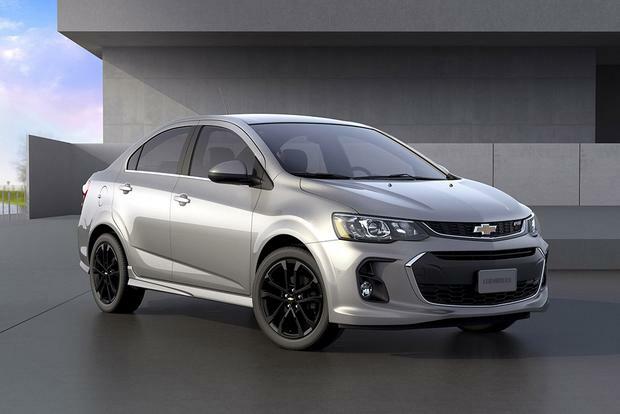 Options include the sporty RS package, the LT Convenience package (includes keyless entry and start, heated seats and steering wheel and a 6-way power driver's seat) and the Driver Confidence package (rear park assist, lane-departure warning and forward collision alert). The Sonic boasts a slew of standard safety features, including a class-leading 10 airbags, electronic stability control, anti-lock brakes and crash-collapsible pedals to protect the driver's feet and legs. Safety options include forward collision alert, lane-departure warning and a rearview camera. The Sonic has received a 5-star overall crash-test rating from the federal government's National Highway Traffic Safety Administration. To earn that rating, it scored five stars in the frontal- and side-impact tests and four stars in rollover tests. On flat to slightly sloping uphill runs, the 1.4-liter turbo was incredibly zippy. While we didn't measure it ourselves, Chevrolet claims the engine can get the car to 60 miles per hour in about 8 seconds -- a claim that our experiences certainly supported. However, the turbo tended to lose power on moderate-to-steep uphill climbs, requiring what we felt was an excessive amount of downshifting on the 6-speed manual to power through. Even with rather sporty driving at average speeds of about 40 mph both in the city and on hilly canyon roads, we were able to squeeze 32 mpg out of the 1.4-liter turbo with the manual transmission. 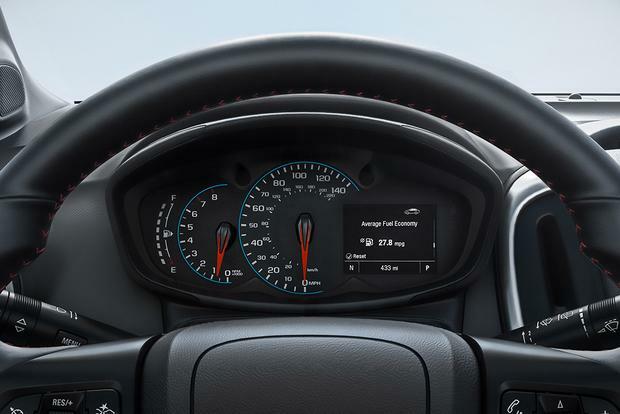 The new gauge cluster is more traditional, placing a conventional tachometer to the left of a large analog speedometer that replaces last year's bright-blue digital display. An optional enhanced Driver Information Center collects everything from current speed and direction to average fuel economy and distance driven into one easy-to-read package. When combined, the Sonic's supportive seats, excellent suspension, standard driver armrest -- a rarity in the subcompact market -- and tilt-telescopic steering wheel made for one of the most comfortable rides of any small vehicle we've driven. Over the course of the day, the seats blended into the background and never caused any noticeable dead spots or discomfort. 2017 Ford Fiesta -- Ford's smallest model comes in a sedan or hatchback body style. It also offers a great driving experience and frugal engines. 2017 Hyundai Accent -- The Hyundai Accent also comes as a sedan or a hatchback. Standard equipment is generous, and the Hyundai has a better standard warranty than the Sonic, but the Accent can't match the Chevy's optional driver-assist features. 2017 Nissan Versa -- Nissan's latest Versa can't match the Sonic for driving enjoyment. Pricing, however, is a strong suit, as the Versa remains one of the least expensive cars on sale. 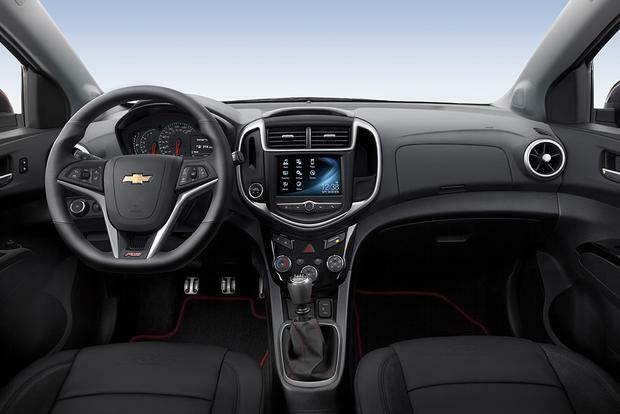 Used Chevrolet Cruze -- If you like the Sonic but want more space or more power, consider the larger Chevy Cruze. It's both bigger and more powerful, though prices are higher, so you may have to consider a used model.